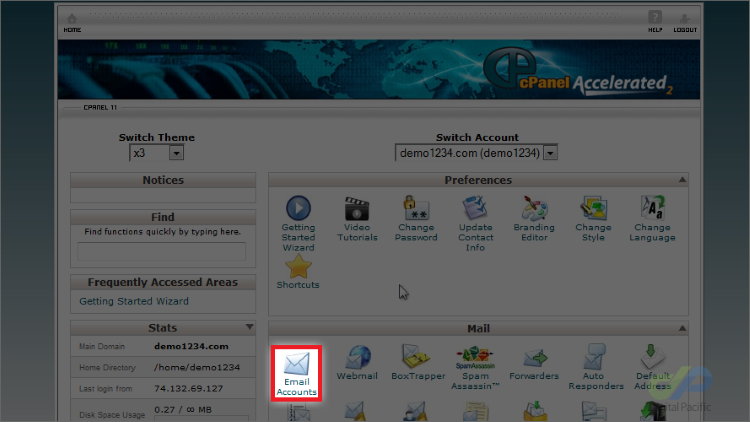 This guide assumes you've already logged in to cPanel. 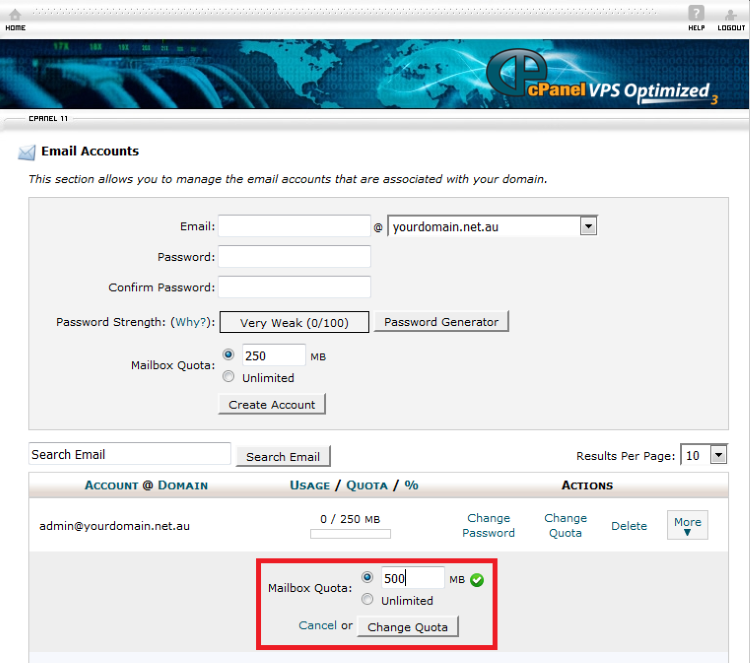 3) Enter the desired mailbox quota size and click the “Change Quota” button. Note: We don't recommend setting mailbox sizes to “unlimited” as this could cause service disruptions if you exceed your hosting account disk space quota. 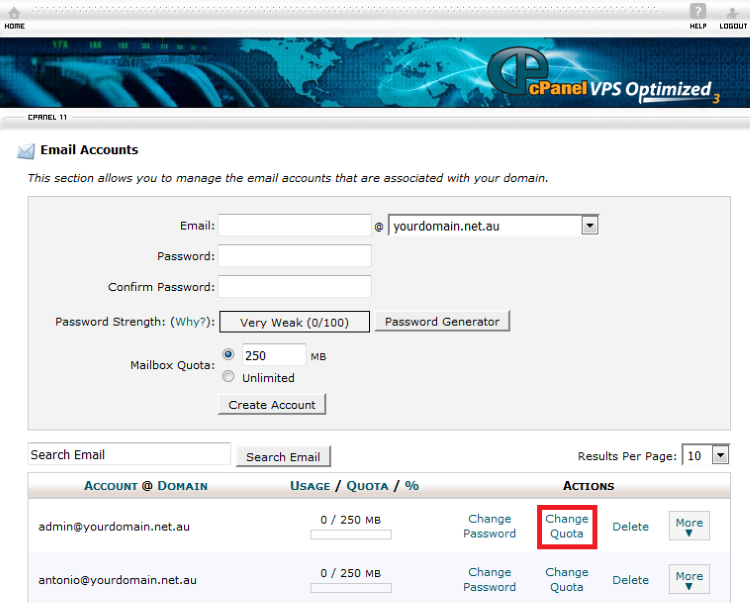 Note: When email accounts are created in cPanel, the default size is 250mb. This size should be sufficient for light to medium email usage.